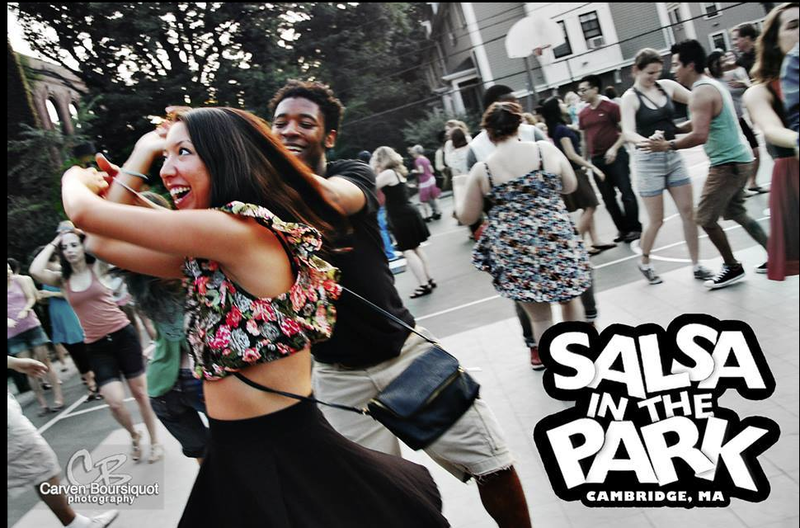 Kick off the Summer with a Salsa Party: Sat., June 20th! Metamovements will lead us in our first Salsa Party at Magazine Beach Park this Saturday, June 20th, 6-8pm (rain date: June 21). Free salsa instruction and social dancing. All are welcome. Bring a picnic. Foodtrucks! Gather beside the Powder Magazine (the granite-block building) for an evening of dancing along the river and under the big, open sky. Free! There will be limited parking, so please walk, bicycle or take public transportation to the park at 668 Memorial Drive, at the foot of Magazine Street, and across from Micro Center Plaza. The park is a 10-minute walk from the Central Square T stop (red line) and the BU Central Station (green line, D line). You can also take the 47 bus there. This will be our first event of the 2015 Summer Season. Click on Events above, to learn more about Tai Chi, Stories & Singing, Nature Walks, Concerts, Sports Day, Theater and Bread & Puppet–all coming to the park. Many thanks to this year’s sponsors: Sanofi, Forest City, MIT, Cambridge Arts, the Charles River Conservancy, the Riverside Boat Club, DCR, Knucklebones, and Artist & Craftsman Supply. We couldn’t do this without you! ← 2015 Summer Events at Magazine Beach! Salsa Party Saturday, June 20th!